Elischer Pottery was started in Sandringham in 1947 by well known sculptor John (Johann Wolfgang) Elischer (1891-1966) and his son, also named John, known as Wally. John (Snr) was born in Vienna and studied in Paris (1910-1911) under the even more famous August Rodin.After serving with the Austro-Hungarian forces in World War 1, he practiced as a sculptor in Vienna. John migrated to Australia in 1935. While living in Douglas Street Toorak in 1951, John won the 200 guinea prize for a design for a jubilee medal for Australian Primary School and pre school children Some of his notable sculptures are busts of Archbishop Daniel Mannix and Television great Graham Kennedy. 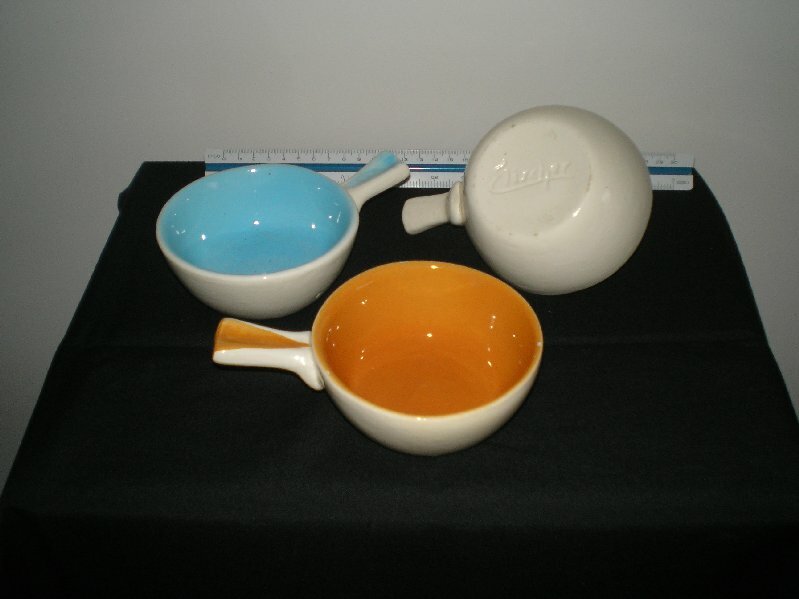 In 1946 Huntley Pottery in Glenhuntly began making slip cast items designed by John Elischer.Huntly Pottery is long gone but John’s business continues today as “Unique Ceramics” at 31 - 33 Beaumaris Parade, Highett, Victoria. You probably have some of their stuff without knowing it. Have a look at the bottom of that ceramic port bottle of beer stein from the Dandenong Octoberfest. In 2002, Elischer Street in Canberra was named in his honour.